What sets Beat Fitness’ Personal Training Apart From Others? A healthy human body is built on a strong, solid core. In today’s world however, many of us develop a weakened core due to our lifestyle habits and daily movement patterns. These imbalances can cause everyday aches and pains and may even lead to injuries. At Beat Fitness, our classes and personal training programs are built around developing a strong core. By focusing on proper breathing techniques, functional movement and exercise form, we can deliver great workouts while solidifying this foundation. We use a method of training known as barefoot training which engages our deep core muscles. Barefoot training helps prevent injuries, aids in rehab from existing injuries, and develops optimal movement mechanics which ultimately programs us to move the way we were designed to move. Beat Fitness believes that personal training is more than working one-on-one with a fitness professional or just working out to get your sweat on. It’s about designing programs around individual goals and correcting specific areas of concern. It’s about us helping you live an improved and empowered life. 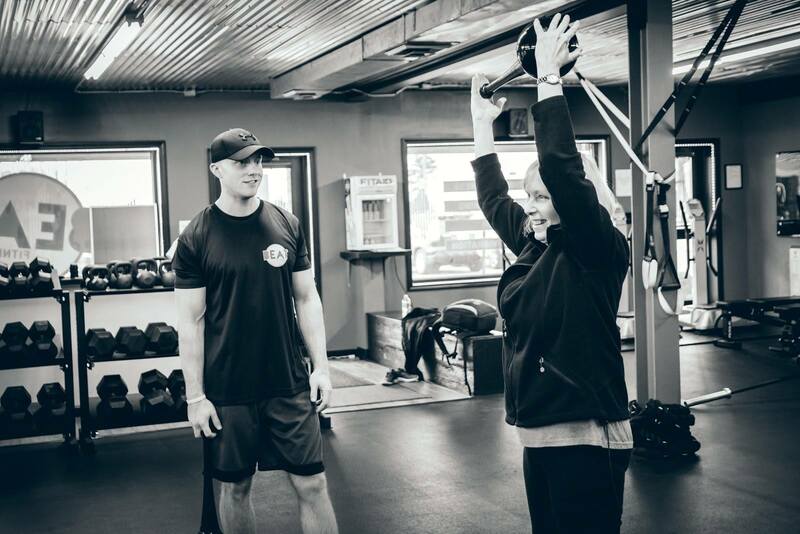 During your initial session, we will spend time outlining your goals, reviewing previous injuries, and developing a plan of action to help you to move better, move stronger, and LIVE EMPOWERED. Are you interested in personal training at Beat Fitness? Contact our Head Trainer Brian at brian.tevis@beat-fitness.com for additional information.